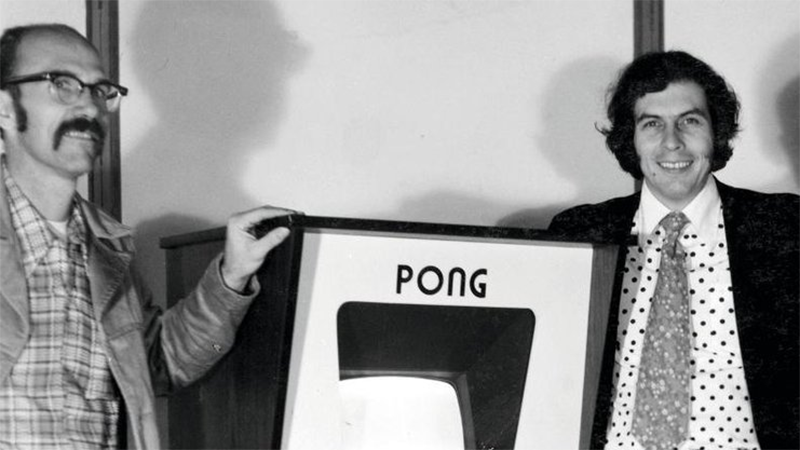 Ted Dabney (left) and Nolan Bushnell (right) with a Pong cabinet. Ted Dabney, the co-founder of Atari alongside Nolan Bushnell, has died at the age of 81. News of Dabney’s death was announced in a Facebook post by the video game historian Leonard Herman, the author of the Phoenix series of video game history books. Dabney was an important figure in the history of both Atari and video games in general, and his engineering work in the early 1970s was crucial in creating Computer Space, the second (but more successful) coin-operated adaptation of Spacewar!, which paved the way for the founding and thriving of Atari. In a portion of an interview quoted in Tristan Donovan’s Replay: The History of Video Games, Nolan Bushnell credits Dabney with most of the technical accomplishments of Computer Space. In 1972, Dabney and Bushnell pivoted the success of their early arcade cabinet into a broader venture by each investing $250 in startup funding in what became Atari Incorporated. Dabney departed the company in 1973, only a year later, and in Donovan’s telling it was “because he disliked running a large business,” which Atari had become due to the skyrocketing popularity of their Pong cabinet released in late 1972. Dabney sold his portion of Atari ownership to Bushnell for $250,000. According to Dabney, the two co-founders remained friends despite their business relationship, and in the late 1970s Dabney built some of the games for Bushnell’s post-Atari business Chuck E. Cheese’s Pizza Time Theater. In his career after that period, Dabney performed computer engineering work at various companies like Raytheon and Teledyne before purchasing and operating a grocery store alongside his wife for several years, after which he moved to Washington until his death. Ted Dabney was an integral part of the early video game industry, and he literally assembled some of the hardware from which this industry was built with his own two hands. Not many people can lay claim to that kind of legacy.